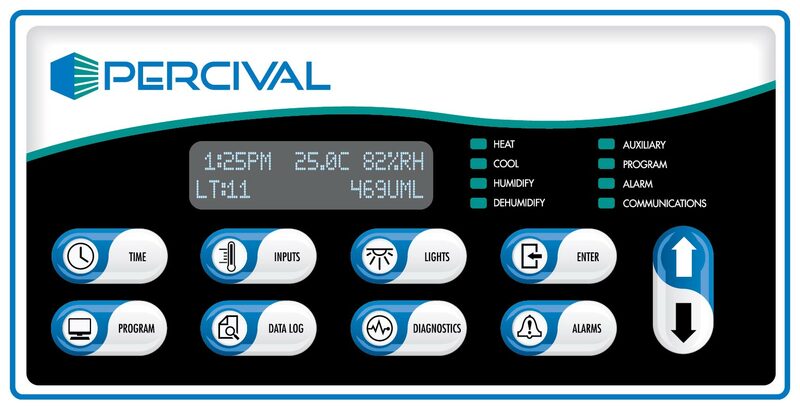 Percival's IntellusUltra Chamber Control System - Percival Scientific, Inc. While many features are important to the selection of an environmental control chamber to meet your specific research needs, one of the most important functions is the ability to control for temperature, humidity and lighting, among other variables. Whether you are currently utilizing a Percival Chamber with the IntellusUltra Control System or thinking about purchasing one, this article and corresponding videos will provide an overview of the system and instructions for utilizing the system’s full capabilities to provide more choices, more control and more data from your Percival chamber. The Percival Scientific YouTube Channel ­­­­­is a excellent resource for information on how to set-up your new chamber and for tips on using and maintaining your current Percival chamber or incubator. The IntellusUltra Control System provides four levels of chamber control. Each one offers increasing options and functionality based on the type of research and data that you need. Check out this brief video for a summary of each system and its capabilities. To understand how easy the IntellusUltra is to use and set-up, this instructional video will get you started. Depending on the level of control selected for your Percival chamber, your IntellusUltra is able to run many program types and modes. For a 24-hour multi-step program, it is possible to enter up to 500 different steps spread over a total of 50 programs. The choices are endless. Learn the steps in setting up a specific program in the IntellusUltra. The true power of the IntellusUltra is found in its data logging and collection features. Percival chambers equipped with the IntellusUltra Connect (C9 or C9T) allow for data collection to be exported to Excel or graphic files. This video will explain how to export your data.